2. Due to hygiene purpose, NO return&exchange for Face Mask. Received via mail wz free gift. Received all 6 bottles pack in one box. Have tried some but not concentrated enough. Have to use quite alot of drops to get the aroma. When i use finish that is the smell is great and the price is reasonable. Hi, if i place order by today and choose Qxpress delivery, are u able to ship out by today? May i enquiry tge items made from where. Which oil is better for dogs at home. Hi.. I ordered on 7th June and I still didn’t receive my items yet.. but the status showed “Delivered”.. may I know how long more do I have to wait?? Do not worry, Singpost got a bit delay in these few weeks, you may receive them soon, pls contact us if you can not receive them until next Tuesday. Oh, what is your order number? it is already Aug, if you have not received that mean it may lose, pls also provide us an image of your utility bill for us to verify your shipping address. Than you for your address verification. Can you file a non receipt claim on qoo10? For order number 260086498, I still haven't received my items. Ordered on 8 June. We shipped your item out on 11 Jun, you may wait for few more days as sometimes the Singpost may delay the delivery. Still haven't received. It's more than 3 wks already. Please send us an image of your utility bill for us verification of your address. Attached is my utility bill. 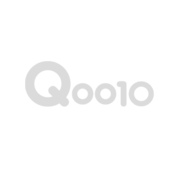 I using this same address since I signed up on qoo10 years ago. You can use it for car freshener, you just need to drop few drop lets of essential oil to the car freshener diffuser, yes you should add water before use. Hi, the high concentrated oils are suitable for all aroma diffusers, thanks.